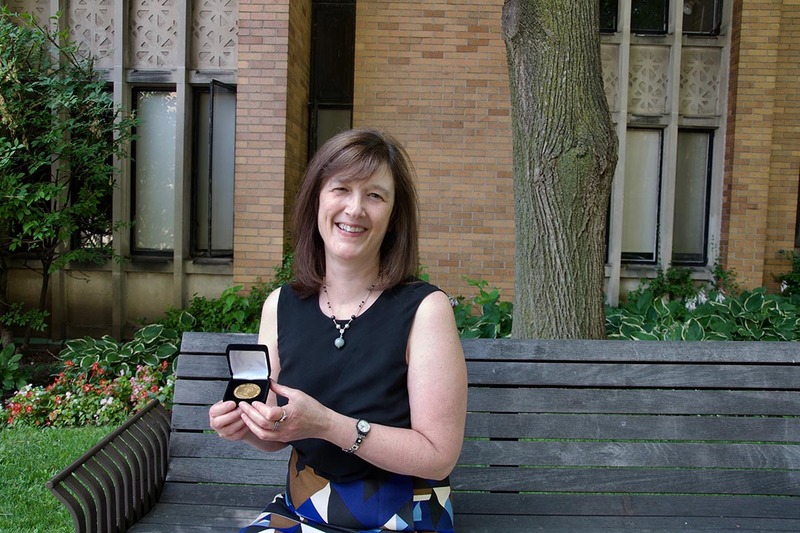 University Professor Barbara Sherwood Lollar of the department of earth sciences has been awarded the Geological Association of Canada’s highest honour – the Logan Medal. Presented to an individual who has displayed sustained distinguished achievement in Canadian earth science, the Logan Medal celebrates Sherwood Lollar’s exceptional career of geological contributions. A Canada Research Chair in Isotopes of the Earth and Environment and the director of the Stable Isotope Laboratory at U of T, Sherwood Lollar has spent her career researching earth and environmental geoscience and isotope geochemistry in Canada and abroad. “It’s a very special honour to be awarded a medal that reflects the long and distinguished history of Canadian achievement in geosciences,” said Sherwood Lollar. Her research is wide-ranging and impactful, from projects that inform public policy and improve remediation of groundwater resources globally, to spearheading international research collaborations to uncover the most ancient water on earth, a discovery with potential implications for life on other planets. “Geosciences occupy such a central role in science and society – from sustainable energy and mineral resources to climate change, water resource protection and environmental restoration – literally the intersection of humankind with the planet on multiple levels,” said Sherwood Lollar. While Sherwood Lollar is humbled to receive this recognition, she’s quick to acknowledge the impact others have had on her career. The Logan Medal (pictured left) is just the latest of the prestigious awards Sherwood Lollar has been presented with over her career. She is one of only 165 Companions of the Order of Canada – the highest level of the Order of Canada – and has been honoured with the Royal Society of Canada’s Bancroft Medal, the NSERC John C. Polanyi Award, the Helmholtz International Fellow Award for research excellence, and the Eni Award for Protection of the Environment. The Geological Association of Canada is a national multidisciplinary geoscience organization that significantly contributes to the promotion and development of the geological sciences in Canada through publications, awards, conferences, meetings and exhibitions. Every year, the GAC provides recognition for prominent Canadian geological contributions through a series of national awards, division, section and service awards and GAC student awards.